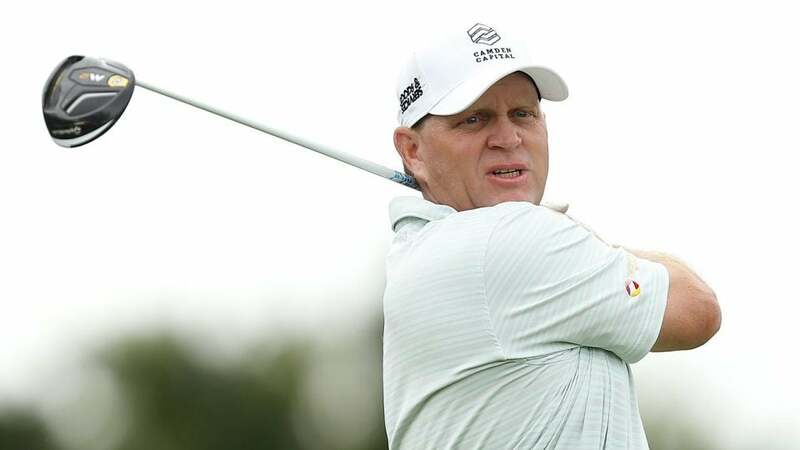 Gary Nicklaus pictured during the first round of the 2019 Oasis Championship on the Champions Tour. Gary Nicklaus, the son of 18-time major winner Jack Nicklaus, made his official Champions Tour debut on Friday. Despite admitting he was “shaking like a leaf,” Gary finds himself in contention after 18 holes. Nicklaus fired a promising five-under 67 in the first round of the 2019 Oasis Championship, the annual Champions Tour event held at Broken Sound Club in Boca Raton, Fla. That stellar opening round, highlighted by a stretch of four consecutive birdies on holes 3-6, left Nicklaus T11 with two rounds to go. Nicklaus celebrated his 50th birthday on January 15th, thereby making him eligible to compete on the Champions Tour. He entered Champions Tour Q-school last year but failed to earn his Tour card. But this isn’t the first time he’s competed at the professional level. Nicklaus enjoyed a brief PGA Tour career in the 90s and early 2000s. He played in 26 events before earning his PGA Tour card in 2000. He then played three seasons on Tour, which included a playoff loss to Phil Mickelson at the 2000 BellSouth Classic. After losing his status in 2002, Nicklaus played on minor tours before he chose to retire from playing the game professionally. He has made intermittent appearances on the course since, including at the 2018 U.S. Amateur at Pebble Beach. Gary wasn’t alone for his debut at the Old Course at Broken Sound Club on Friday. His famous father was on hand to follow his round, though he wasn’t about to play helicopter parent and interfere.